Betty Bonita “Bonnie” Hughes, 83, of Baltimore passed away suddenly on Thursday, November 1, 2018 at MedStar Harbor Hospital in Baltimore. Born January 30, 1935 in Westminster, MD, she was the daughter of the late William Arthur and Erma (Spencer) Brown. She was the wife of the late Clay Hughes, formerly of Elizabethton, TN. Bonnie attended Bridgewater College in Virginia. She was employed by the Maryland MVA for 29 years as a clerk in the Accounting Department, retiring in 2007 at the age of 72. She was a past honored Queen of Bethel 31 Jobs Daughters. She volunteered on the office staff of Youth For Christ in Brooklyn Park in the early 1970s and was a volunteer reading tutor at Brooklyn Park Jr/Sr High School. 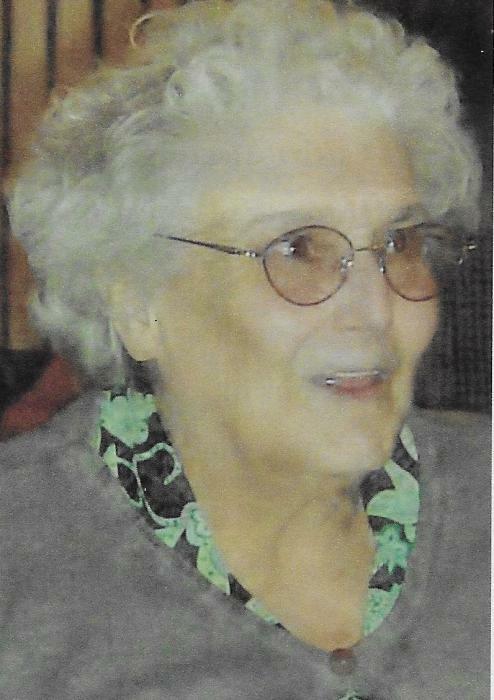 Bonnie was a resident of Brooklyn Park, MD for over 60 years. Bonnie nurtured people around her with love and faith in Jesus. She loved attending church and reading her Bible. She enjoyed cooking for her family during the holidays and was very generous with her giving and keeping in touch with family and friends. She will be remembered as a bright and shining light in the many lives she touched throughout the course of her life. She is now at peace in Heaven resting in the arms of Jesus! Surviving are her daughters, Clayann Said of New York and Dawn Pfanstiel of Tennessee; son, William “Billy” Hughes of Brooklyn Park, MD; sisters, Millie Brown, Erma Kipe, Dorothy Leighton, Dale Schell and Diane Brown; 2 brothers-in-law; an aunt; a niece; and many nephews and cousins. A private graveside service will be held at Westminster Cemetery. The family is being assisted by MYERS-DURBORAW FUNERAL HOME in Westminster.